Established black owned tech companies in the financial services, healthcare and telecommunications sectors can get help from IBM to grow their business — with the latest call of IBM’s Techscale programme. 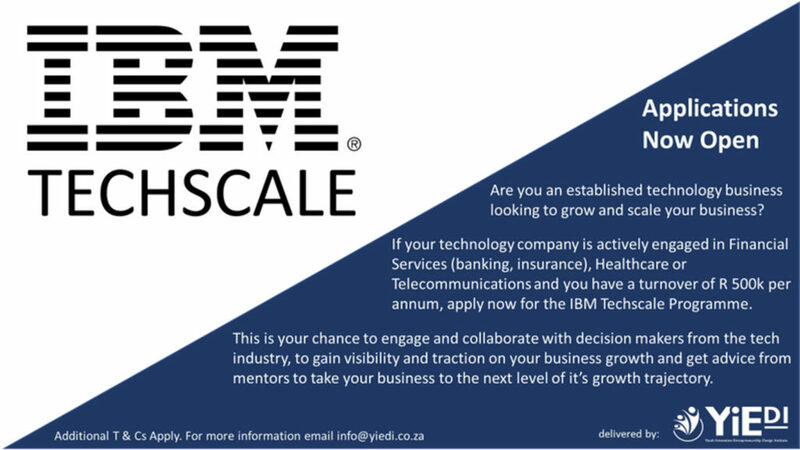 IBM South Africa has opened applications for its six-month IBM Techscale programme. Applications can be made through Joburg-based consultancy Youth Innovation Entrepreneurship Design Institute (Yiedi) which is implementing the programme on behalf of IBM. Applications close on 10 April, while the selected companies will be announced later on in the same month. Over the course of programme, participants will get the opportunity to collaborate with decision makers from the tech industry and gain access to mentors and coaches. Some of the topics that will be covered include business development and enablement, as well as investor readiness. The programme is open to commercially sustainable SA registered companies that are black owned and managed, as well as older than a year. 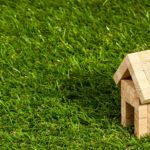 To be considered for the programme, companies must have a turnover of at least R500 000, or must have secured purchase orders and verified contracts to the value of more than R500 000 within 2019. Applicants must also be involved in the business’s daily operations and management on a full-time basis. Moreover, the business must no be currently participating in any other enterprise development programme at IBM, or any of its competitors.